Today makes it seven days I have been without my phone. It was stolen while I was attending a meeting, with Jaden in tow, but the story of July 21, 2018 will be written another day. Today its about Wattpad. I used to write a lot of stories, and took to blogging like a fish takes to water, but along the way, life happened and I found myself writing less. I joined a group called IBcoco to ensure I wrote more often, about two years ago, but I find that story-telling, which was what drove me to writing in the first place, was missing in my posts. So I took to writing a bit at a time, on my phone. I lost a half-finished story when my phone got stolen seven days ago. My heartache drove me back to Wattpad and I began writing afresh. Wattpad is the best place to read and share stories. It’s the place where stories are redefined. Wattpad is a community for readers and writers to publish new user-generated stories in different genres, including classics, general fiction, historical fiction, non-fiction, poetry, spiritual, humor, and teen fiction. It aims to create social communities around stories for both amateur and established writers. The platform claims to have an audience of more than 65 million users, who can directly interact with the writers and share their opinions with fellow readers.Although available in over 50 languages, 77% of its content is written in English. A number of Wattpad users are translating stories to continue to build the platform. I have been on Wattpad since 2009, but mainly for reading stories. 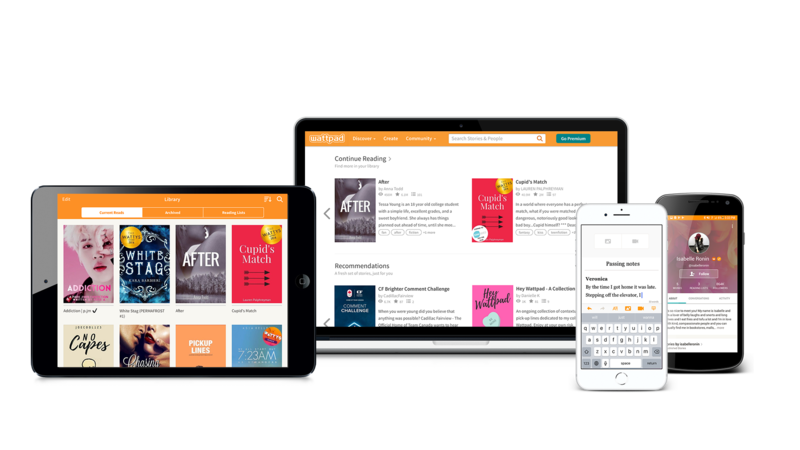 Wattpad offered mobile reading solutions from then, and I loved the ability to read anywhere any time. You can also vote for your favorite stories and comment. The site has evolved to more than just a reading service, and even offers awards called Watty Awards, to the best and highest voted writers on the platform. If it were not for Wattpad, I would not have found PreOrdained, a wonderful Nigerian story of hardship, choices, and victory, by Ad_zy1. Nor would I have found the story of the year 2015, Storm and Silence by Robert Thier, a juicy read that also teaches you about the old English aristocracy and culture. I hope to complete my stories soon, and this time, share them with the rest of the world.